All Harpster homes currently listed for sale in Harpster as of 04/23/2019 are shown below. You can change the search criteria at any time by pressing the 'Change Search' button below. If you have any questions or you would like more information about any Harpster homes for sale or other Harpster real estate, please contact us and one of our knowledgeable Harpster REALTORS® would be pleased to assist you. "REDUCED AGAIN!! PRICE REDUCED!! OWNER WANTS THIS HOUSE SOLD. 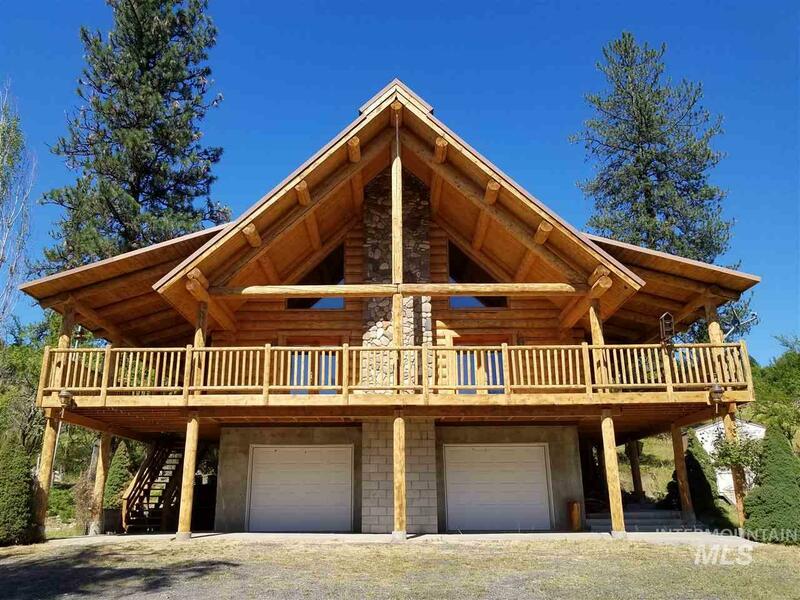 THIS SOLIDLY BUILT LOG HOME IS LOCATED 3 MILES ABOVE HARPSTER. THIS BEAUTIFUL PROPERTY WOULD MAKE A GREAT FISHING/HUNTING LODGE OR BED AND BREAKFAST. UNIQUE HOME HAS BEAUTIFUL KNOTTY PINE DESIGN WITH OAK HARDWOOD FLOORS AND CUSTOM KITCHEN CABINETS, UPSTAIRS MASTER BEDROOM LOFT WITH SEPARATE BATHROOM . FANTASTIC ROCK FIREPLACE WITH A CUSTOM CHIMNEY. HAS MUD ROOM AND CENTRAL VACUUM. LARGE GARAGE WITH EXTRA ROOM. TIMBERED WITH CREEK, GARD"
"Snowed in til May or so, Call listing Broker. Shown by appointment. A very private off-grid home bordered on 3 side by National Forest land. Cell service available! 480 SF w/80 SQ FT sleeping loft; Solar electric system included; powers freezer, computer, TV, light. 4200 KW generator; Excellent hunting, fishing - deer, elk, turkey, bear, cougar, upland game. No neighbors, snow machine access in winter. Ideal hunting retreat/bugout escape. Genuine outhouse included :-)"